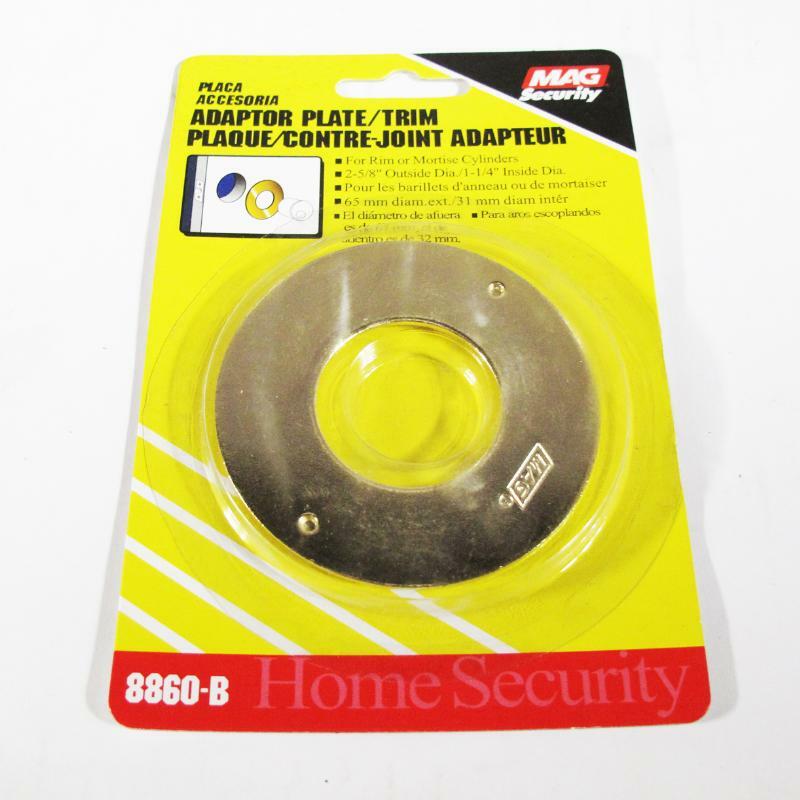 Use the Mag Security Adaptor Plate for Rim & Mortise Cylinders. Measurements are 2-5/8" Outside Diameter and 1-1/4" Inside Diameter. Install Instructions: Remove cylinder, place trim over cylinder and reinstall.